Ernie Els says he received an invitation to Augusta National for the first week in April. It just wasn't an invitation to play in the Masters. Els had to clarify a tweet from Sunday that said: "Thank you for a Great Xmas present! @TheMasters Can't wait!" That led several media sites to post stories that Els, a four-time major champion, had received a special exemption into the Masters. Instead, the 48-year-old South African received a letter welcoming him as an honorary invitee. His five-year exemption into the Masters from winning the 2012 British Open ended last year. Augusta National has a tradition of inviting past major champions as honorary guests for the week. Els tweeted Monday : "Wanted to clarify my excitement getting an invite from @TheMasters. Work continues to qualify to compete! Augusta National occasionally awards exemptions to international players, but those typically are given to players who are not full PGA Tour members and have multiple avenues to qualify on their own. Among ways for PGA Tour members to qualify for the Masters are winning tournaments that offer full FedEx Cup points, reaching the Tour Championship or getting into the top 50 in the world ranking at various cutoff points. "The inclusion of Honorary Invitees has been a great tradition at the Masters Tournament for many years," Augusta National chairman Fred Ridley said. "This coming year the list includes Ernie Els, and we are once again excited to welcome him and all of these distinguished guests to Augusta National in April." The Masters pays homage to major champions more than any of the other majors by giving them special access as honorary invitees that includes two clubhouse badges, a $1,000 honorarium and a gift to commemorate them being there. Honorary invitees used to be able to play practice rounds and compete in the Par 3 Tournament, a practice that ended last year. 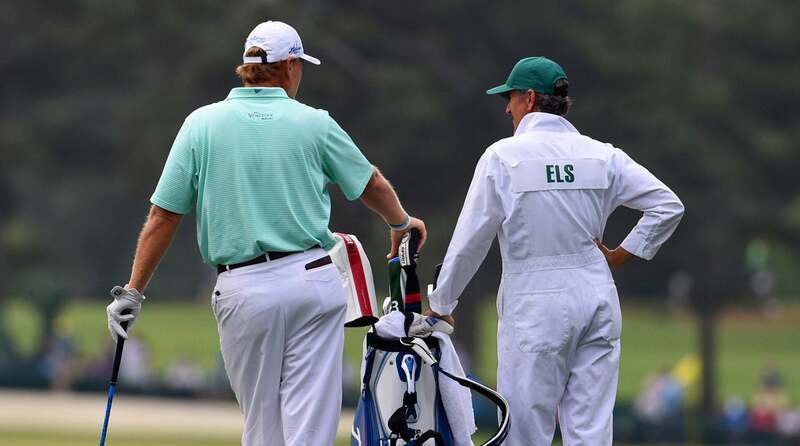 Els failed to qualify for the 2012 Masters and was not given a special exemption.